With the internet not just being a thing anymore but an integral part of most of our lives, you would think that every old car in original condition would have been found by now. Ahhhh, but you’d be mistaken, Grasshopper. 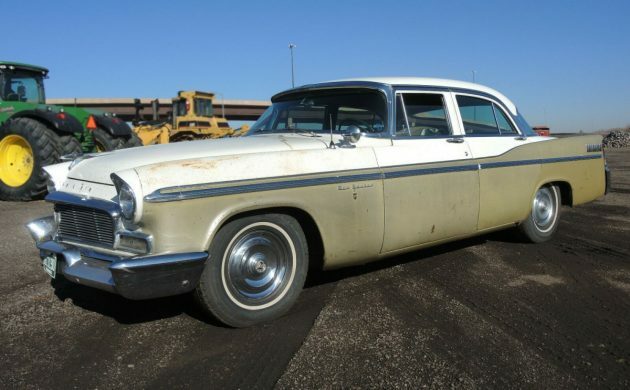 An astute Barn Finds reader sent in a tip for this 1956 Chrysler New Yorker so they’re still out there. This solid-looking survivor can be found here on eBay with a buy it now price of $6,950 or you can make an offer. It’s located in Wheat Ridge, Colorado, a few miles northwest of Denver. The fourth-generation New Yorker is my personal favorite. It bridges the gap between what was “old” 1950s designs and modern, jet-age designs. They were only made for two short years, 1955 and 1956 but they’re standouts. This particular example appears to have had some paintwork in the past and there is a bit of rust on the bottom of some of the panels and in the corners, but overall it looks like a solid car. Now that’s a rear 3/4 shot. Nice work on the photos, seller! They have included 213 photos. I say, they have included two-hundred and thirteen photos. None of this “If they would have only shown the engine, the upholstery, the gas filler door, the trunk, the underside, the details, the whatever.” They’re all there, check ’em out, this is a very cool car. This “car is originally from Yakima Washington; it then spend some time in Idaho, and it now resides in Wheat Ridge, Colorado. I have done absolutely nothing to this car since I received it, except repair the passenger’s side door handle.” The seller goes on to say that “every single piece of trim is present – inside and out – and in good shape overall. All four doors open from the inside and out. All four windows go up and down. All the glass is original Solex and in very good shape.” They talk about the features: “Almost all the accessories work. Lights, 3 out of 4 turn signals, defrost, map light, dome light, emergency brake light, speedometer, amp gauge, fuel gauge, temp gauge, and oil pressure gauge. This car has the rare tri-tone trumpet horn but alas, it is not working. But the power seats even work! !” This really sounds a good survivor that could just be maintained and driven as a nice, big, powerful old car. Speaking of powerful, this engine is Chrysler’s FirePower 354 cubic-inch Hemi V8 with 280 hp and 380 lb-ft of torque. 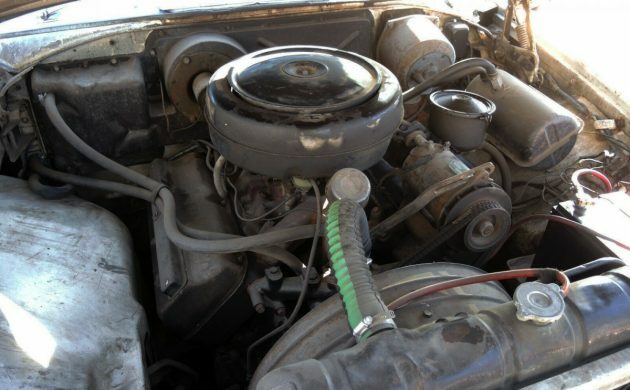 The seller says that the “Power steering is smooth. Power brakes grab as they should. The big Hemi has plenty of power. Transmission kicks down hard… It’s very fun to drive.” This looks like another maintain-and-drive car and somewhat inexpensive entry to owning a big, luxurious-for-the-time car with enough room for the whole family. 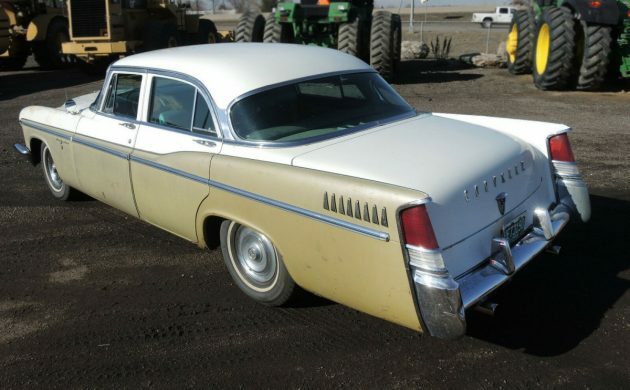 Have any of you owned a 1956 New Yorker? On this one, the “2 doors too many” crowd are cordially invited to [vulgar suggestion]. I love the 50s Hemi cars and this is one you could spend a little money on and turn a lot of heads with, burning up the miles while you did so. Great find and one that is worth the asking price in my opinion. 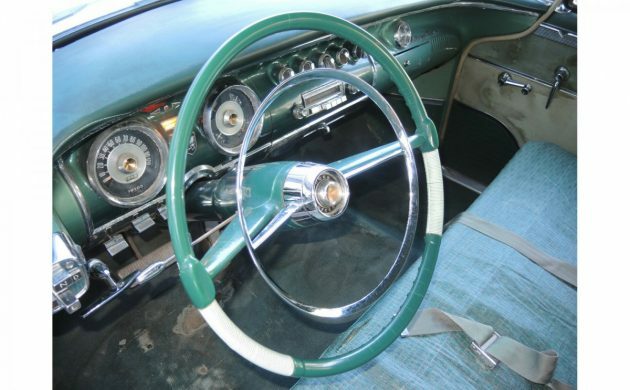 The torsion bar suspension didn’t come out until the 1957 models. 55-56 had coils in the front. Tthe first year for torsion bars in Chrysler product suspensions was 1957. The 1955 & 56 cars were still coil in the front, leaf springs in the rear. It was Packard that offered the first example of production torsion bar suspension in an American car, for 1955 & 56. 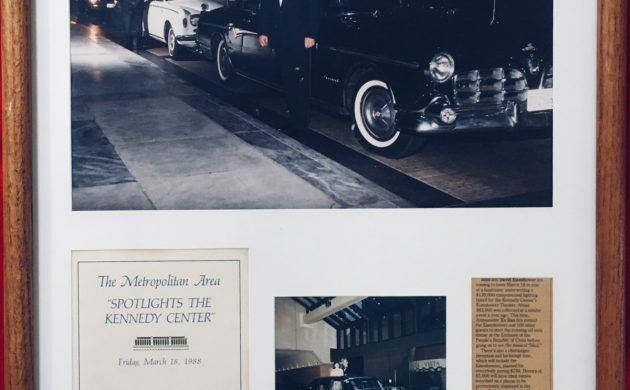 I’ve had several ’55 & ’56 Imperials and New Yorkers; sedans, hardtops and limousines, and they were all a pleasure to drive, especially at higher speeds. They also made great travel trailer towing cars. They had the best brakes of any American car of the time. 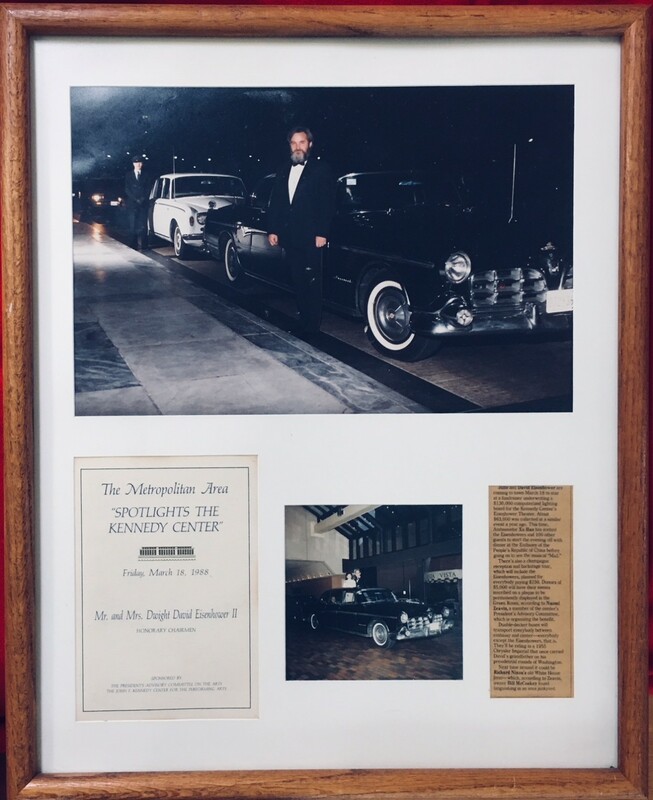 My 1955 Imperial limousines both had 4-wheel aircraft disc brakes by Ausco-Lambert. Lovely looking car. 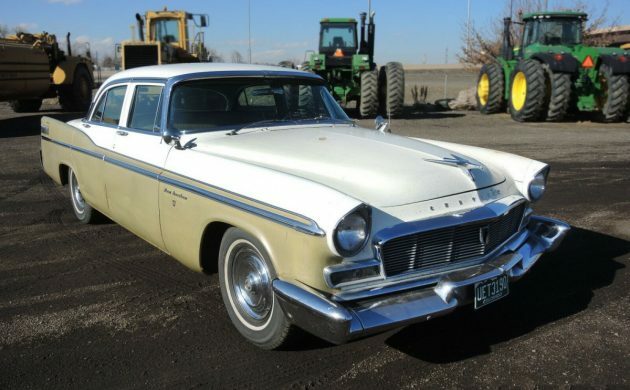 I’ve always found the 1956 Chrysler New Yorker the best looking car by Chrysler in the 1950s. I hope whoever purchases this car enjoys it. Want it – can’t have it. Not too far off from my Dad’s ’56 Dodge D-500. I saw 130+ mph (not sure the speedo was that accurate) on a local straight, then had a blow out the next day. My first big escape in driving at 16. 7k for a car like this seems to be a screaming deal. If I could I would, and somebody will. Nice find.